Welcome 2014!! Happy New Year!!! I just wanted to take a moment and review 2013 for a minute. It has been a interestesting year, to say the least. 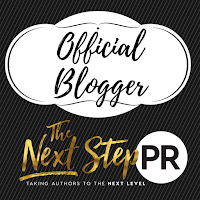 However, that being said, it was an AMAZING year for me book and blog wise. 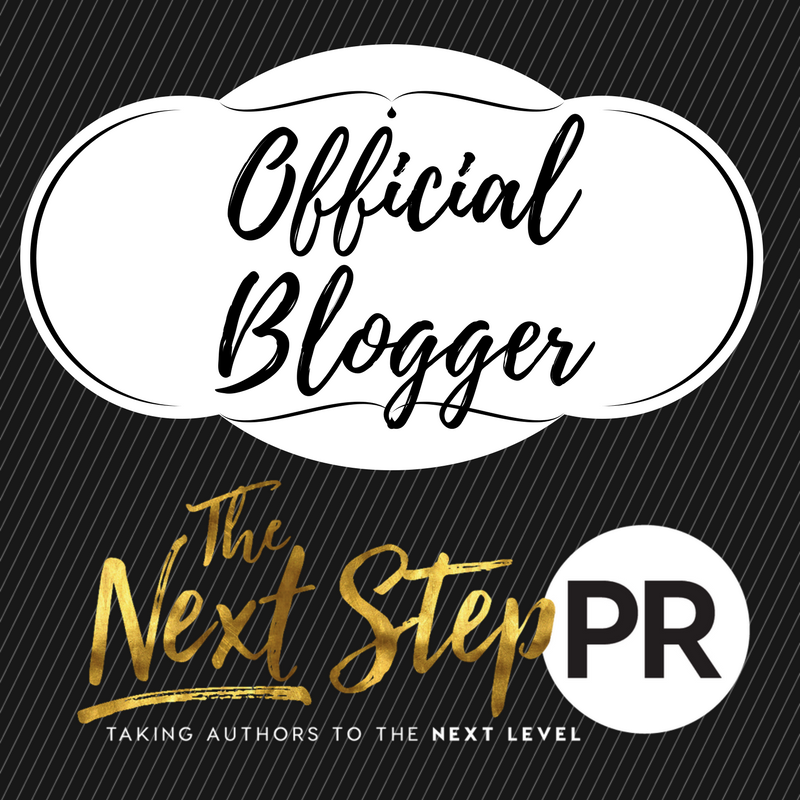 I joined the BookTube Community in May, which lead me to creating this blog so I could review all the books I read. I am thankful for all of my viewers and subscribers; all the new friends I have made on YouTube, Twitter and Goodreads. I never would have imagined how many nice people were a part of it and how much joy being a part of it would be. I am looking forward to 2014 and welcoming it with open arms! I have a list of so many books that I plan to read, and will be reading with some of my great friends I have met this year through a social media network. 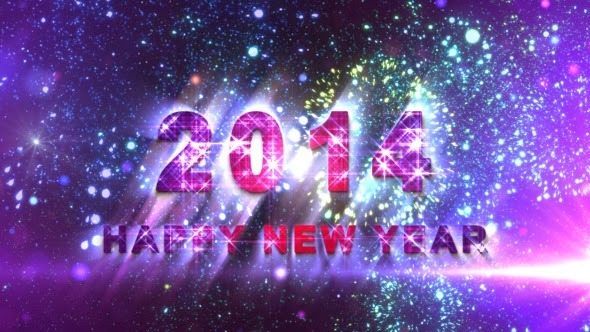 I wish you all the best in 2014!! Thank you all so much, from the bottom of my heart. I hope you all have a Happy and Prosperous New Year!! 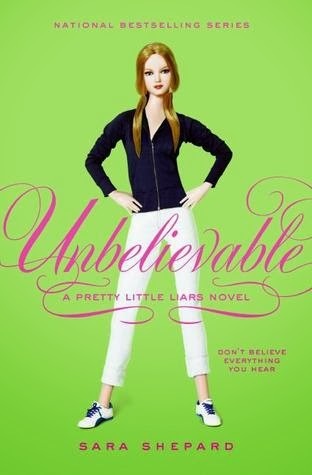 After reading the first two books of the Pretty Little Liars Series, I decided that I would group my review with the books for several reasons. One, they are so good that I am going through them like a mad woman and it's hard to keep certain aspects of each book together since I watch the television series on ABC Family. Which I highly recommend because it is just as addicting as the books. Two, so much happens in each one as it does in the series, yet the characters are different and so are major plots in the television series than the books. Does that make sense?? Like I said, they all follow the books, but are still very much independent of each other. Okay, with all that out in the open, which I probably have mentioned, lets talk about the books and characters. The girls are described differently in appearance, most of all the girls being blonde, I still see the characters from the show being them. So that is a little different, but not at all hard to get used to. The one thing I really like the books more than the show is that it takes several books for the girls to actually mend their friendships. They all have their reasons, all surrounding their friendships with Allisen, but as they keep getting the letters or text messages from A, they all seem to bond together over that. These books are very addictive and hard to put down. I have read the first 6 of the series over the past week and I am continuing with them over Christmas break. I don't know what to say that wouldn't ruin these books for you, but I can say that they are worth the read. 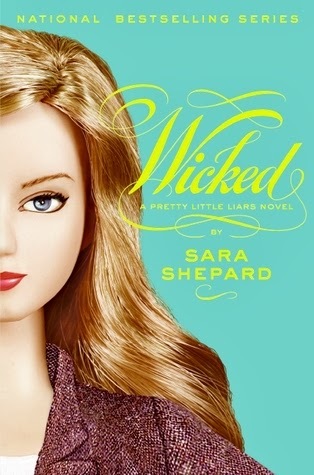 They are written so well, and the plots are continuiosly changing throught the series. You will think a certain character is definitly A, than you will come to find out that the least likely suspect is A. Than, you find discover that what you thought you knew, was all a lie. As a writer, it is amazing that Sara can create all these intriguing and dangerous scenarios and change them all around flawlessly. 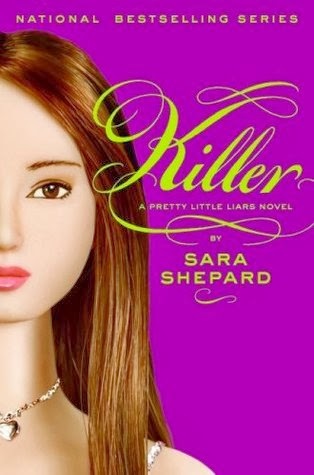 Sara Shepard is a unique writer and I can totally see why this series was picked up by ABC Family and has so many books in it. I hope to read more!! I gave each of these books ♥♥♥♥♥ out of ♥♥♥♥♥ on Goodreads. What can I say about this book. It's Abby and Travis...Travis and Abby! They are both complicated and simple...they are both stubborn and hot headed, but they are understanding and loving as well. I had always wondered what happened at Travis and Abby's wedding. I never imagined what was in store for us readers. The reason behind the urgency of Abby wanting to marry him. I knew that she loved him, no doubt but I didn't know the reason driving her. All Travis knew was that he loved her and he had a sneaking suspicion that there was more to it, but he put it aside because he wanted nothing more than to marry Abby. I can't get into specifics, but this was an amazing addition to this lovable series. Jamie McGuire delivered as she is known to do, and what she does is AMAZING! 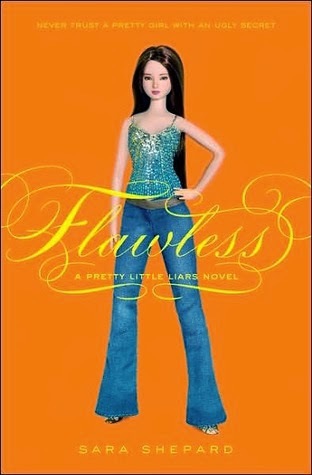 I would definitely recommend this but I would say you need to read Beautiful Disaster and Walking Disaster first. This book was a cute and quick read just in time for Christmas. I have heard numerous things about it and decided I needed to see what the fuss was all about. This book goes back and forth between Dash and Lily. Two strangers...one red notebook...and dares. Dash finds this red notebook and there is a note in it in girls hand writing...challenging and daring the reader to continue reading and follow clues. Dash, having nothing better to do on his Christmas break, accepts said challenge. 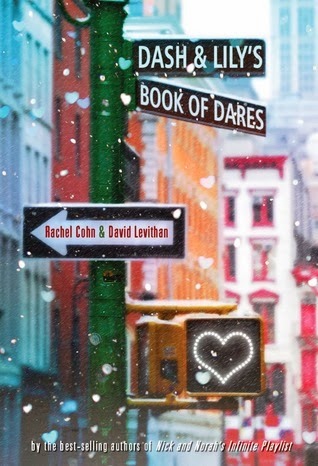 They leave the red notebook in places and send them on challenges and hunts...getting to know each other through this book of dares. Lily is an awkward 16 yr old left alone with her brother for Christmas and is in need of something to do. When she see's that her challenge has been accepted, she sends this challenger on many quests and writes to him back and they embark on this journey. This, like I said, was a cute read. Very creative and loveable. I rated this 4 stars because it isn't something that I think I will read again. It was well written and had an engaging story line, just not something that I can relate to at my age. I would recommend this because it was a good Christmas read and helps keep the spirit of Christmas alive. I gave this ♥♥♥♥ out of ♥♥♥♥♥ on Goodreads. Alison, Aria, Emily, Hanna and Spencer were best friends, until Alison disappeared. Three years later, the remaining girls, ow juniors at Rosewood Day, are leading separate, but charmed lives. After living in Iceland, Aria returns home sophisticated and worldly. Emily is a champion swimmer, Hanna is the most popular girl in school, and Spencer's accomplishments make the average type-A valedictorian look like a slacker. But in Rosewood, appearances are deceiving, and when the girls start receiving mysterious texts signed by someone named A, the past threatens to ruin their perfect present. A claims to know all of their secrets-but who is A? How much does A really know? 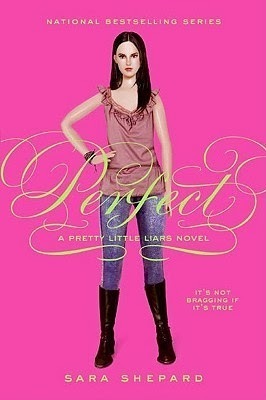 And what can four pretty little liars do to protect themselves from the truth? Being a fan of the television series Pretty Little Liars on ABC Family, I was very interested in reading this series. How would the books differ from the television show? What characters were from the book and which ones were added only for the show. 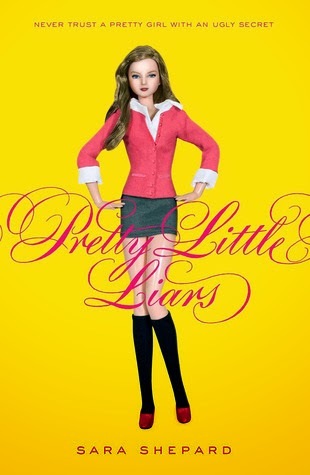 I loved Pretty Little Liars! This book was well written and the characters are amazing. They are all so different and they compliment each other well. I went back and forth with my rating from 5 hearts to 4 hearts, than ultimately rated as 5 hearts. I ad to base this rating on the book and writing itself. The reason for this was because I had already watched the television series and live it more than the book. I'm sure if I had read the book first, I would give it higher praise. There is plenty of humor, mystery and tantalizing situations throughout the book. Girls gossip and the gossip in scandalous! This book basically covers the fist episode in the television series. I plan on continuing to see if there is anything different in the books than there is in the show. 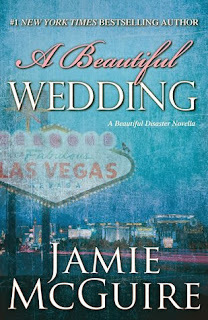 Okay, so technically A Beautiful Wedding official release date in 12/10/13, if you pre-ordered on your Kindle you should have received this beautiful and highly anticipated novella! Even though I have lots of things to do tomorrow being it's December and everyone is busy during this month, I think I might have to pull an all nighter for this one! 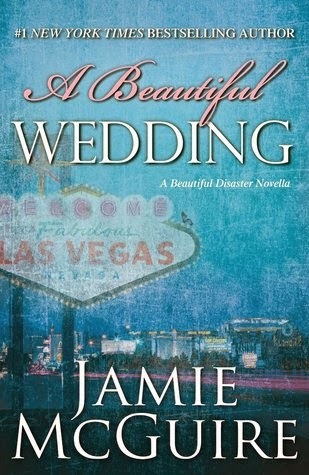 I would strongly recommend reading Beautiful Disaster and Walking Disaster due to spoilers that are contained in A Beautiful Wedding. This will most likely be my next review...hopefully up by the end of the week! I plan on participating in the 24-Hour-Read-A-Thon on December 29, 2013. For more info, please watch the video! Hope to see you all participate if you are able!